Remember the Lenovo Z5 - the mid-ranger with ever-growing bezels? Controversy aside, it's still an attractive smartphone with an aggresive price and it looks like it's doing well in China. And we have a good reason to believe it's stepping outside of its home market soon. We've received a tip with what seems to be a teaser poster scheduling an October 16 event. 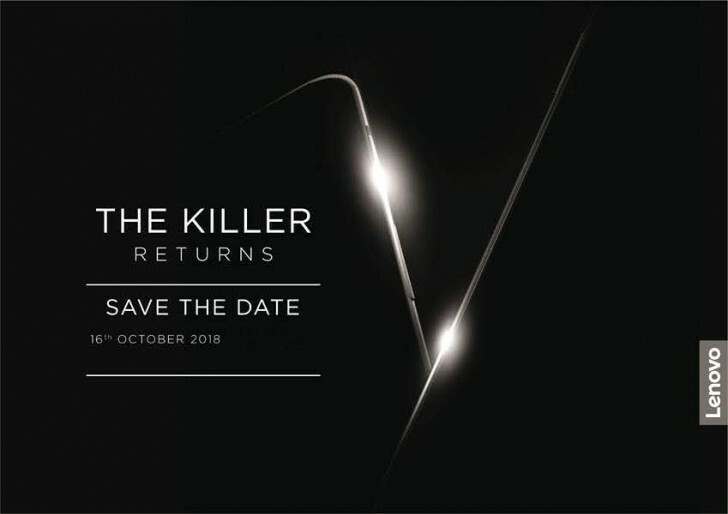 It says "The killer returns," which could mean that Lenovo is going to release an already known device further confirming our theory. Alternatively, Lenovo might be planning to unleash its true flagship, the Lenovo Z5 Pro with its sliding mechanism and quad-camera setup on the back. All we could do for now is wait for something "more official" to come out. Thanks for the anonymous tip!